This image shows Henri-Edmond Cross’ “Regatta in Venice” from 1903/04, which is currently on show at the Barberini Museum in Potsdam, near Berlin. The painting is on loan from the Museum of Fine Arts in Houston. Houston's Museum of Fine Arts said Friday it "stands by its ownership" of a painting on loan to an exhibition in Germany which is being claimed as Nazi-looted art. Henri Edmond Cross' "Regatta in Venice" was loaned by the Houston museum for a show on the French artist at the Barberini Museum in Potsdam, just outside Berlin. 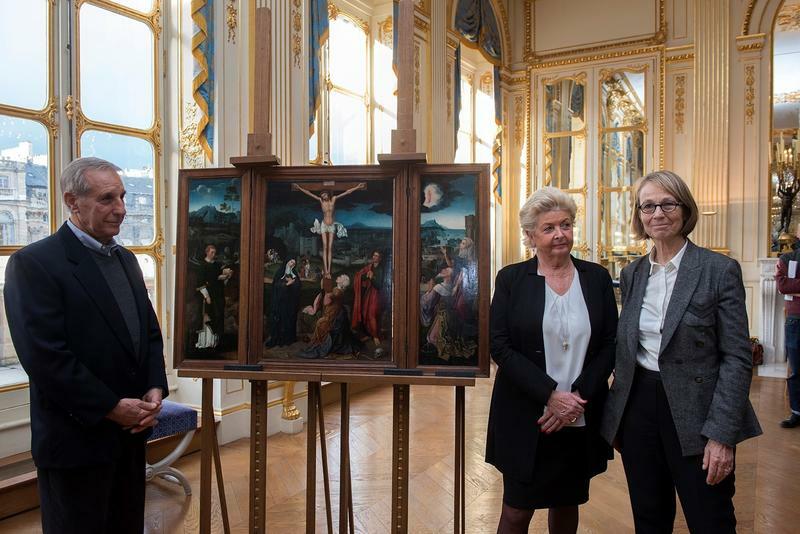 Heirs of Jewish French collector Gaston Levy say it was stolen from their family by the Nazis and have filed a legal request for its return. The Houston museum said it made a legal filing in Potsdam on Thursday. It said in a statement that "based on the facts of the provenance research, the museum stands by its ownership of 'Regatta in Venice.'" France's most famous museum recently designated two rooms for paintings looted by Nazis in World War II. The rightful owners of these works never have been found, and the Louvre says the exhibit is a continuation of the search. But critics say the museum has not done nearly enough over the years. Nine months ago, Elizabeth Duggal was interviewing for a job at the Guggenheim Museum in New York and decided to swing by the day before her appointment. She expected to get a ticket and make her way up the museum’s distinctive white spiral ramp, designed by Frank Lloyd Wright. But her visit did not go as planned.